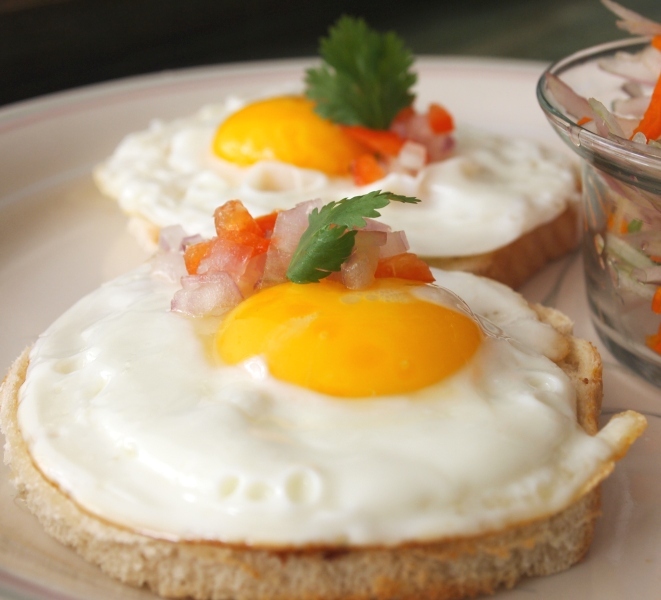 Whenever I think about having eggs for breakfast or brunch, this easy dish comes to my mind. 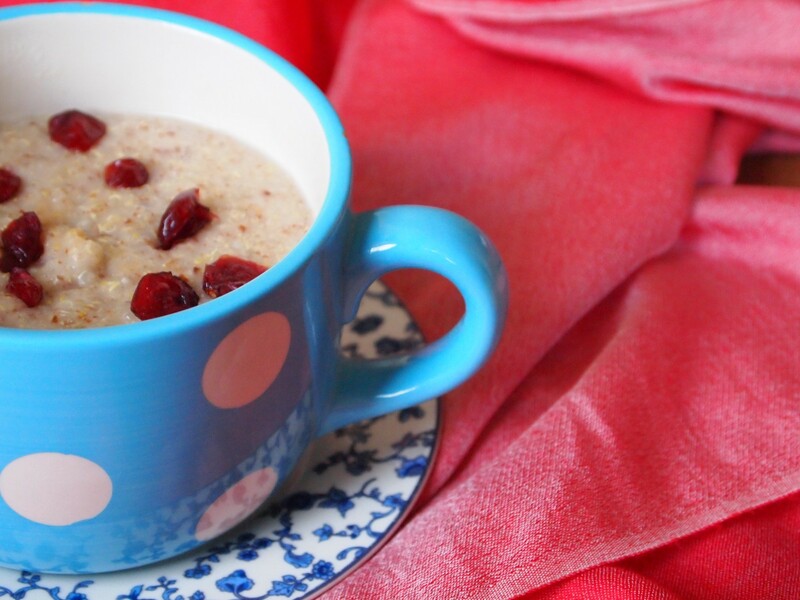 This is also my friend Thelma´s favorite lunch when she feels like having something quick and super light. 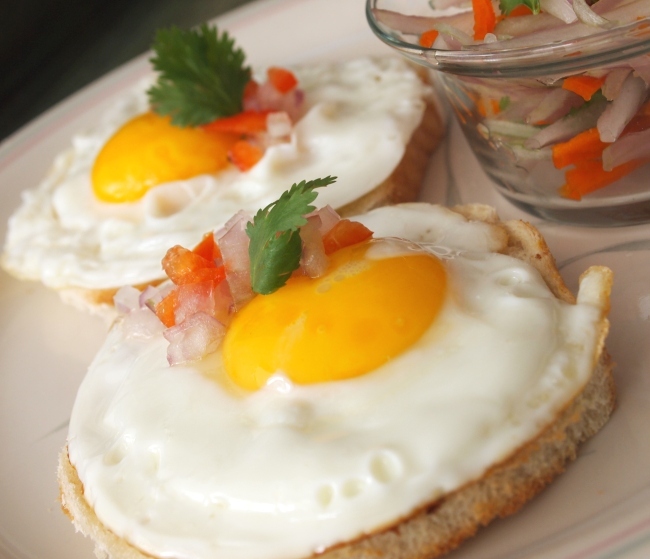 Huevos a la Rabona consist of sliced and golden-fried bread, a sunny-side-up egg on each slice, and a topping of onion and chili pepper. Simple and delicious. Food historians say that this was a war-time dish, prepared by the soldier´s women during the war against Chile, more than a century ago. The reasons why this meal was favored during these times of trouble is obvious: it can be eaten on the go, it needs very few ingredients, and it’s always satisfying. 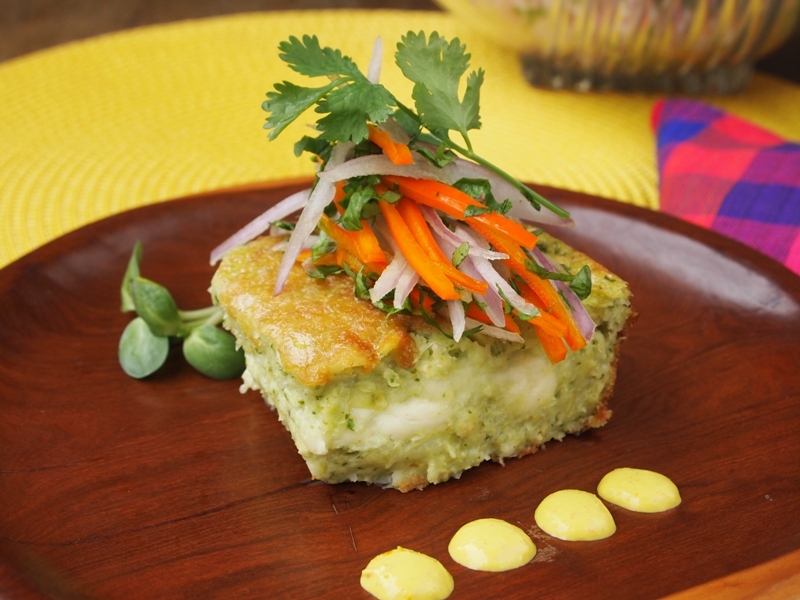 This men moved from one part of the country to the other, crossing the harsh Andean geography, and this humble dish was what kept them energized. 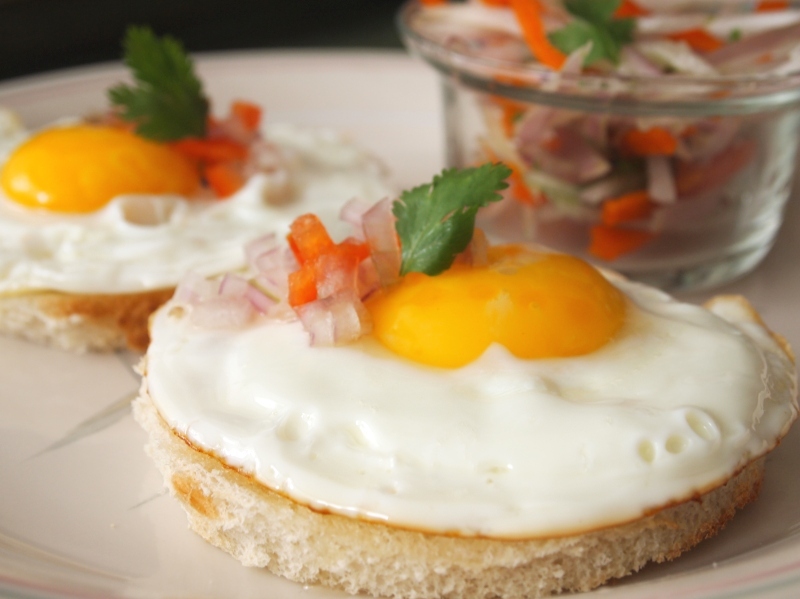 If you have eggs in the fridge, bread in the pantry, a red onion, and a piece of rocoto (or any other red hot chili pepper), you are set to make this fast breakfast, brunch, or lunch. Put the onion and rocoto in a bowl, cover with cold water and rest for 10 minutes. Drain well. Transfer onion and rocoto mix to a bowl and add cilantro leaves, salt, pepper, vinegar and 1 tablespoon oil. Reserve. Toast the bread in the oven or a skiller until lightly golden. Put 2 slices in each plate. (You can also fry it with some oil, which is the original way of making this dish). Heat the vegetable oil in a small frying pan and fry the eggs, sunny-side-up.Season with salt. Put a fried egg on top of each toast. Put a tablespoon of the onion mixture on top of each fried egg, and serve immediately.